These rainbow baby shoes & beanie are as sweet as your little one, and will immediately brighten any outfit. Ideal for adding a touch of color to dreary spring days or for adding a bit of sunshine to a newborn photo shoot, these rainbow baby booties & hat are expertly handcrafted using 100% Merino wool, rainbow buttons, and love. The crochet crib shoes are also designed so that they sit slightly higher on the ankle, ensuring they are comfortable but also cozy enough that your little one won’t tug them off. 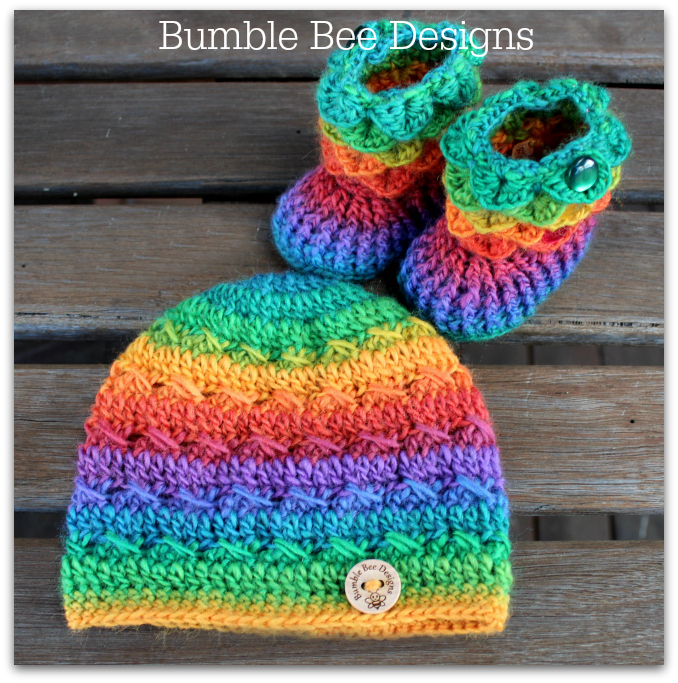 The purchase of this listing is for one pair of rainbow baby booties & hat. Please choose your sizes before adding to cart.